They met her with bewildered expressions. “You’re taking a year off?” her parents asked their eldest daughter after she told them she would be volunteering for a year after graduation. “I ain’t volunteering nothing. I’m getting a job,” was the reaction of one of her peers. 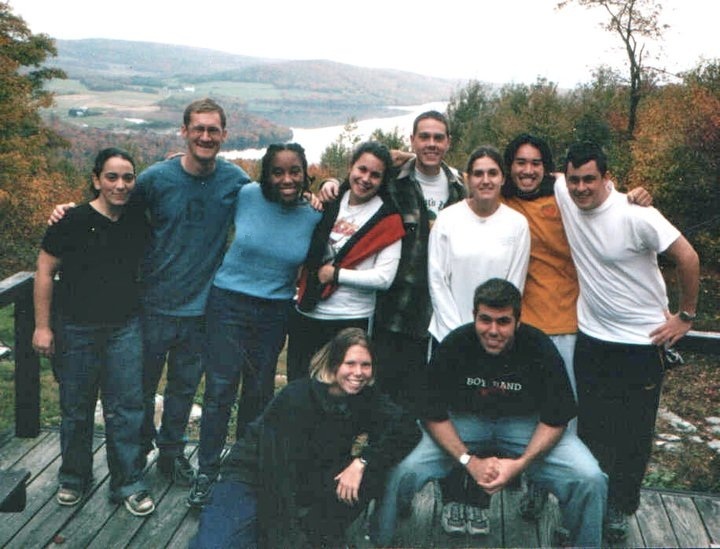 But back in 2001, Lovancy Ingram felt that a year with Capuchin Franciscan Volunteer Corps (Cap Corps) was the right thing to do following her studies at Washington and Lee University. Ingram’s local parish, Shrine of the Sacred Heart in Washington, D.C., is run by Capuchin Franciscans. One day, a friar who played guitar in the choir asked the Music and Print Journalism double-major what she was doing after she finished school. He told her about Capuchin Franciscan Volunteer Corps, a program that offers the opportunity to work in direct service to the poor while living simply in community. Ingram had received Catholic VolunteerNetwork’s RESPONSE directory containing Cap Corps and over two hundred other faith-based volunteer programs from her Catholic Campus Ministry office a year or two before. She had been toying with the idea of post-graduate service ever since. After the conversation with the friar, Ingram applied to several long-term service programs. At the time, her peer and parent’s perceptions made it clear that volunteering seemed random or ambiguous. It was time-off or time wasted. “But it’s not really,” Ingram said firmly. 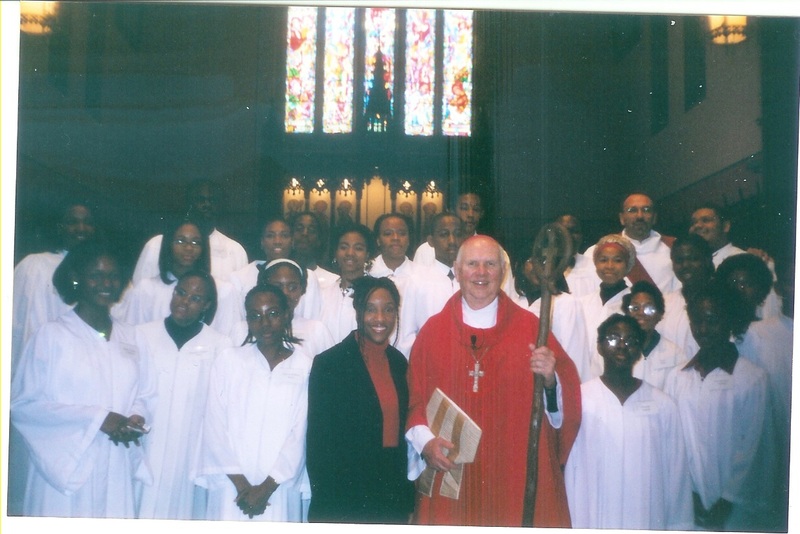 In her “year on” with Cap Corps, Ingram worked at St. Ambrose Parish in Baltimore as a Youth Minister—the first the parish ever had. She taught CCD and Confirmation classes. She worked with kids and various youth groups. She took them on field trips and coordinated service projects for the community. All the while, she lived with four other people in an intentional community. Not having a predecessor to look back to, Ingram found her position challenging but rewarding. During her placement, she saw the youth group grow. What started out with eight to ten began to multiply as the young people started bringing along friends. Teens joined her at a youth event that involved dressing up as saints and going to mass at the Baltimore Basilica. The parish’s new youth minister had introduced something unique to this group of young people: a positive way to get involved in their community. “They got really into it,” she laughed. While perhaps the color of her skin allowed her to “fit in” to a certain degree in her new community, Ingram’s year of service was a cultural adjustment. The volunteers were considered outsiders until they developed the meaningful connections with the community. And the region of Baltimore Ingram lived in was made up of very different communities than the inner-city area of Washington, D.C. Ingram had been used to. Her first reaction to the area she would live and work in was fear. Ingram lived near “The Corner,” the infamous section of Baltimore known for open air drug markets and poverty, captured in the book The Corner: A Year in the Life of an Inner-City Neighborhood and then in the award-winning HBO television miniseries under the same name. Fear soon transformed into understanding. Ingram began to see past the shabby neighborhood, realizing the issues the community had were deep and intertwined. A girl in her youth group had just had a baby. Many of the kids had grown up in and out of foster care. Some had parents in prison. “What do you tell these kids?” Ingram remembers thinking. As time went on, Ingram realized that poor school behavior was more than just a bad attitude. The dirt and grime of this Baltimore neighborhood had meaning; it just took a washcloth and gentle care to find the beauty underneath. Ingram probably looked deep into the children’s eyes and became humbled by their sheer humanity. “One of the things I really learned was just seeing all the different walks of life that the kids would go through,” Ingram said. What she continues to remind herself of today is that people are more than what they seem. “Every person has layers,” Ingram said. Armed with this perspective, Ingram went on to receive a Master’s degree in Music Education from Columbia University after her service year. She honors the relationships cultivated in Baltimore by attempting to approach every person she meets with this “layer” perspective. She still hears from her roommates, receiving Christmas cards from them, and even bumps into a former housemate, who is in formation with the Franciscan Capuchins in Washington, D.C., every so often. Ingram has also been an active Cap Corps and Catholic Volunteer Network alum. She has attended multiple commissioning events for volunteers of the Cap Corps program, gone to a number of orientation events, attended retreats and has even cooked for past volunteers. In 2006, Ingram spoke on a panel about diversity at Catholic Volunteer Network’s National Conference in San Antonio. Her participation in these activities are a testament to the value she places on volunteering, with her Cap Corps experience being integral to her current ideals. After her parents saw the type of life their daughter was living during her service placement, their notion of “a year off” changed from one of anxiety to support and admiration. Ingram laughed remembering her dad wishing he had the opportunities she did when he was young. Catholic Volunteer Network is a national membership organization of Christian volunteer and mission programs that fosters and promotes full-time national and international service opportunities for people of all backgrounds, ages and skills. During Black History Month, we pause to thank God for the diversity in our programs, placements and the people we serve—knowing that the relationships formed in service promote understanding, compassion and solidarity in a world thirsting for love. With over 185 different programs in the Catholic Volunteer Network community – you have a wide variety of service opportunities to choose from. Our online database can help you sort through programs based on the criteria that is most important to you. With thousands of volunteer opportunities, RESPONSE 2019 is the most comprehensive guide for faith-based service! Yes, I want to help Catholic Volunteer Network transform lives across the globe through faith-based service! Advertising with Catholic Volunteer Network is an efficient way to reach thousands of individuals interested in faith-based service and social justice. © 2019 Catholic Volunteer Network. Site by Perisphere Media.